Technically incorrect, this is an articles not just on my first impressions of rise of the tomb raider, at time of writing this I’m about 25% through the game. But also what type of games I enjoy playing, as far as tomb raider not a full review but mainly my thoughts on the game. Rise of the tomb raider is a great improvement over the previous 2013 version as there is more an open world feel. You can just play from start to finish on the main story task, but there is so much more to do, as you can complete side missions, collecting treasure and raiding crypts. Some if the side missions do seem like they are trying to pad the game our as one I’ve just done was collecting chickens and putting them back into the pen. Though there are then others that make you really want to explore the area to the full. For myself I like the exploration aspect as I’m not one that enjoys the shooting as much as exploring this is probably because not that good at the shooting parts 🙂 The additional optional tombs do really make you think and do take a bit more work to get to the codex that will give you additional skills. As the optional tombs in ruse of the tomb raider are larger than in the previous game, so again more to explore. Considering I’m playing this game on the older generation 360 the graphics are still amazing as so much details in the areas you do visit within the game. It is just nice sometimes to look around the landscape from a high vantage point, as the views can be spectacular. Like I have said I don’t really class myself as a gamer, but this new tomb raider has got me hooked, as now played the game for probably over 20hrs so far as I am really enjoying the exploration aspect of the game and I’m trying to collect everything that can be found, the documents and recording that you uncover do really make you feel for characters that some are not within the game, and gives you the history of the people that where there before. Even if you go to the next area where there is no direct return to can fast travel from the various Base camps that you encounter. Also from the Base Camp you can upgrade your skills and weapons within this game over the previous one you have more choice on how to upgrade your equipment. Though to do most of the upgrades you do need to collect more from the wilderness this includes wood from small bush tress. Also hunting is a lot more involved in this tomb raider in the 2013 you really only hunted just at the start and then really played no part in the game. This one hunting is important if you want to upgrade your equipment as you need skins from animals to even allow you to get a bigger bag to collect more. So I find myself just wondering around and hunting dear, rabbits and even squirrels. Well at least this is more interesting that sitting watching eastenders lol. But it is worth really thinking about upgrading any equipment as some are better than others, but I have found upgrading the equipment I use the most for my playing style. 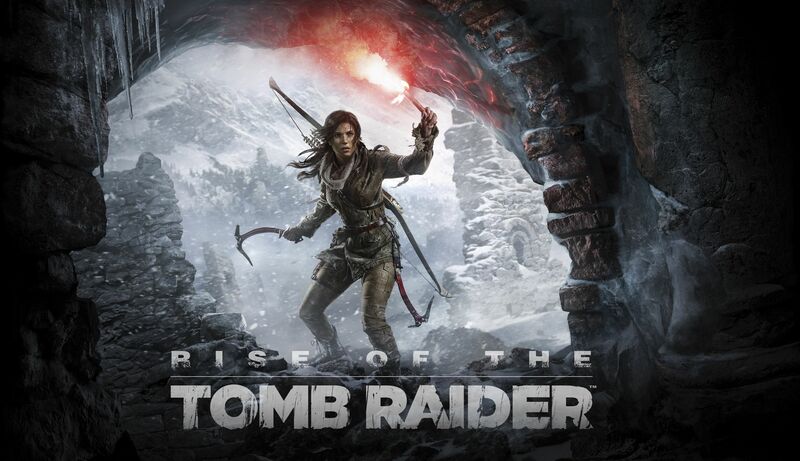 Rise if the tomb raider is a game I would really recommend, that’s if you have a xbox 360 or xbox one, as the pc version isn’t out until early 2016 or the PS4 version not out until late 2016. Though for PS4 user font have to wait that long until Uncharted 4 is out in March 2016. I will add more to this article once I have hopefully finished the game, that’s if I don’t get to side tracked with all the other stuff you can do in the game.